So, a while back, in one of my early blog posts, I wrote about my Mom. 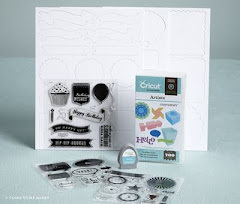 Today's post is about my Dad. I was up in Kansas with Paul and Vanessa a few weeks ago visiting family. We had a big family reunion and also spent some time just hanging out on the farm. I snapped a couple of pictures of my Dad. I don't know what he would think of me posting these on here - but I'm 99% sure he'll never see this post. He just never uses the computer or the internet. He's old school like that. We were all just standing around in the yard, waiting for my brother to finish getting the horse out so Vanessa could pet the horse. We live in the city, so that's a big deal for her. 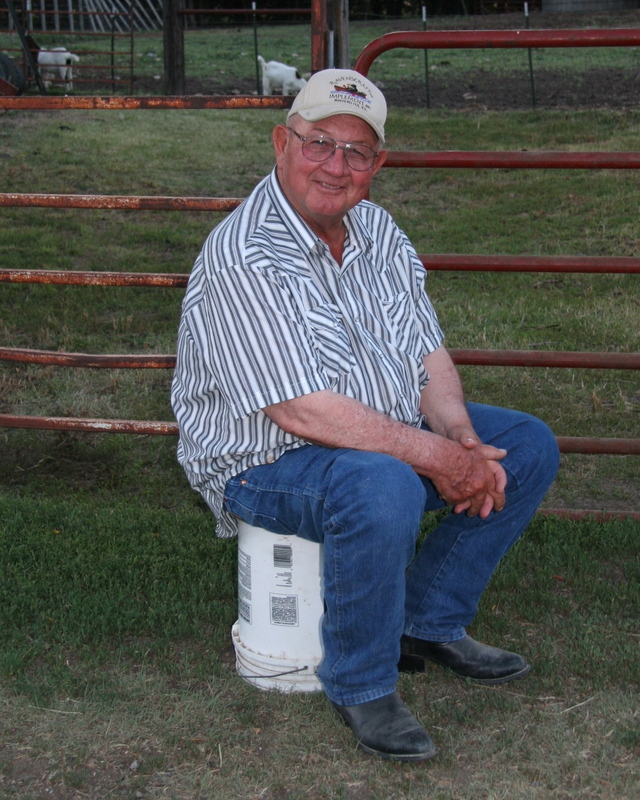 Dad got tired of standing so he sat on a 5-gallon bucket that just happened to be there by the fence. He's smiling in this picture, a RARE thing. He never smiles for the camera. This is my Dad... cap on his head, western shirt (with SNAPS, not buttons), jeans & boots. It's pretty much a uniform for him! In this next picture, he's got his thinking face on. Pretty hilarious if you ask me. 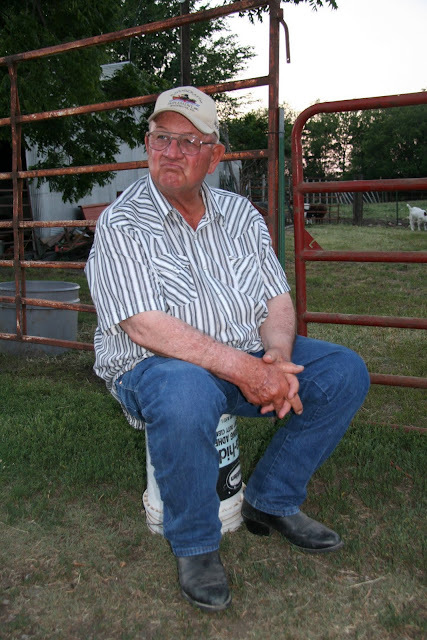 Just a farmer, sittin' on a bucket, thinkin'. Seriously, I love my Dad. He's worked very hard all his life and been through plenty of hardship along the way. He's happiest when he is in the combine cutting wheat during harvest, can carry on a conversation with a complete stranger, loving in his own way, and a great grandpa! 2011 Close To My Heart Convention - Disneyland!